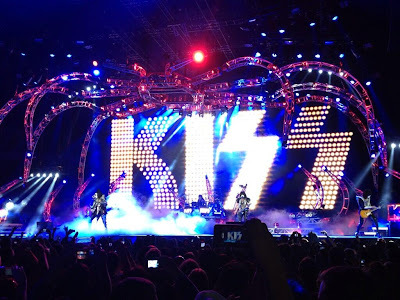 KISSopolis: KISS In Vancouver, B.C. Here's a fan photo of KISS in Vancouver, British Columbia, Canada At Rogers Arena on Saturday, July 6, 2013. This was the second show of the bands Canadian leg of their "Monster World Tour 2013".